Efforts by the Department of Conservation to warn people of the trail’s risks have reduced the number of fatalities over the years but it remains a hotspot for New Zealand’s volunteer-run Land Search and Rescue (LandSAR) crews. In the last seven years they’ve been called out to the crossing more than 300 times. 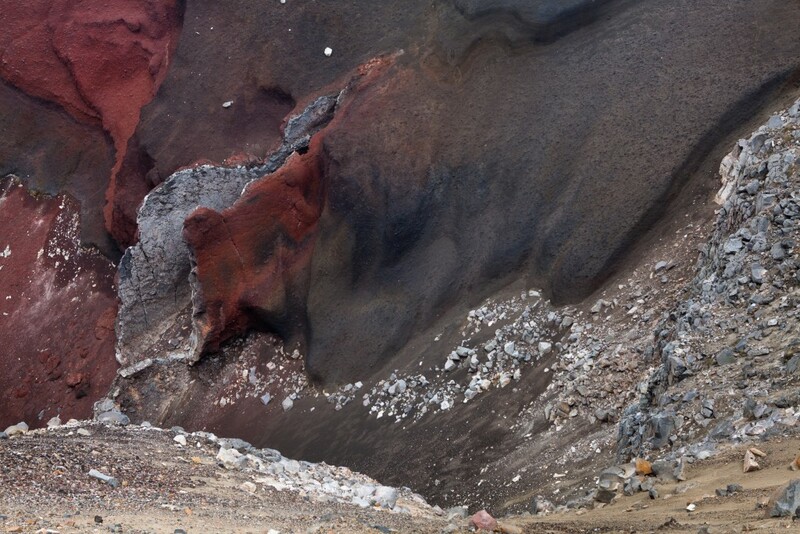 There’s a lot of reasons that people get into trouble on Tongariro. To start with it it’s a long walk by any standard; stretching just under 20km with somewhere between 1,100 and 1,700 meters of climbing depending on whether you take the side-track to the top of Mt Ngauruhoe. The weather can change abruptly and the temperature can drop to below zero at any time of the year. At more than 1000 meters above sea level there are no trees and few landmarks to follow if the track disappears in snow or fog. Although the path is well maintained there are still plenty of exposed stretches where route markings disappear. The same spectacular terrain that draws so many visitors to the crossing also brings with it a certain level of risk. 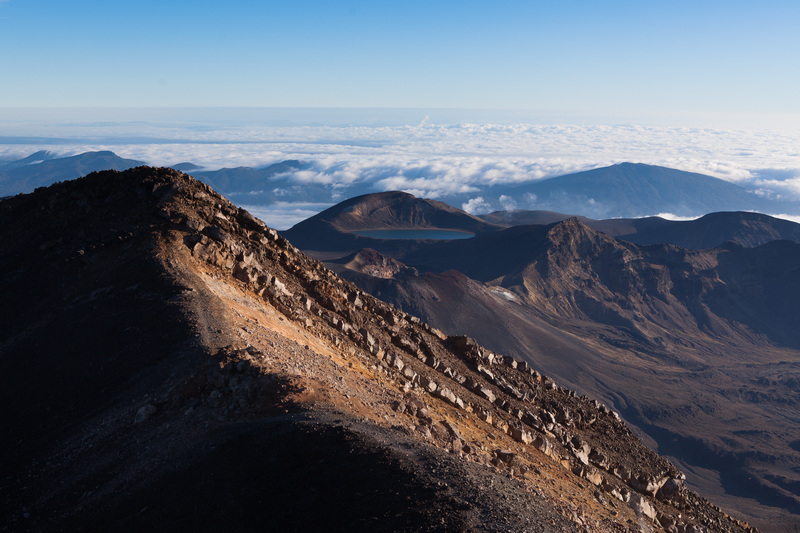 And therein lies the real reason for Tongariro’s outsized reputation for danger – the sheer volume of hikers. 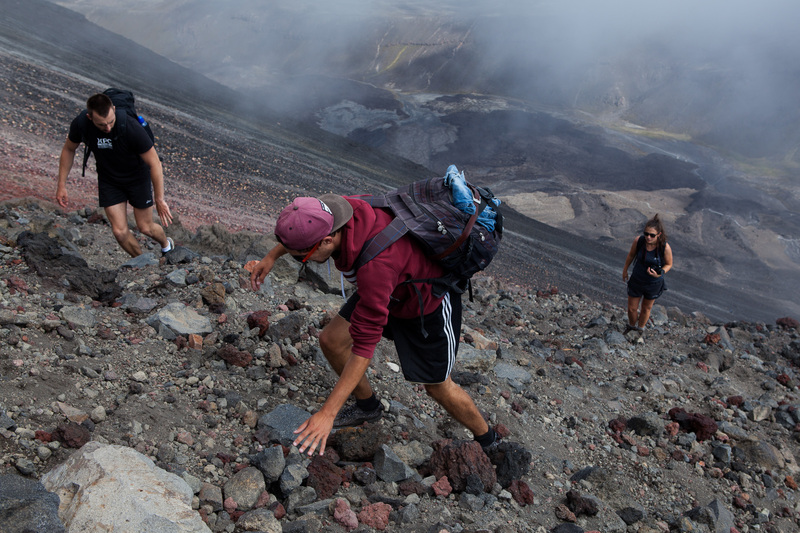 Following a slump in visitors during the Te Maari Crater eruptions in 2012 the number of hikers attempting the crossing has increased year on year. In the last season (2016/17) roughly 140 thousand people attempted the crossing – making it the most popular day-hike in New Zealand and one of the most famous hiking trails anywhere in the world. 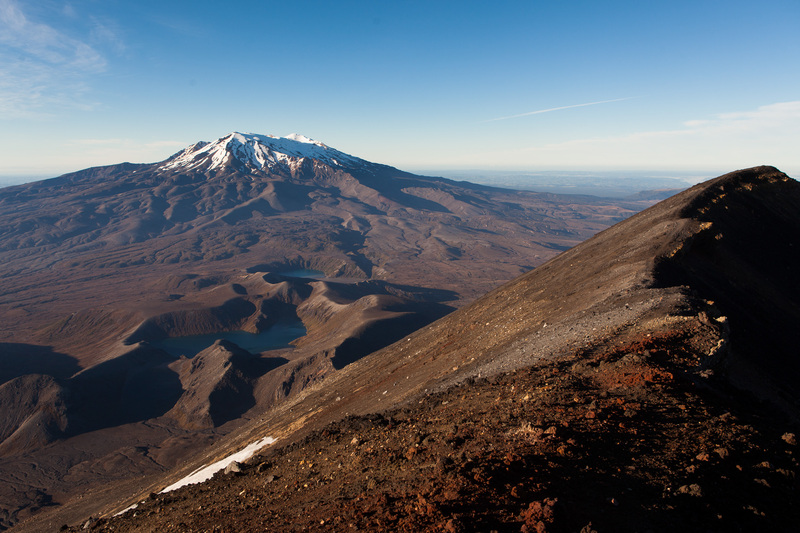 Part of that surge in popularity has been spurred on by the fact that Mt Ngauruhoe stood in for Mt Doom in Peter Jackson’s Lord of the Rings trilogy – turning the mountain into a sort of pop culture pilgrimage site. The result of this popularity is that, on a good day, the route can go from merely congested to Christmas-shopping-crowded. On the day we hiked we found ourselves dropped off by a convoy of shuttle busses and corralled onto a wide gravel path in a column of hikers that stretched all the way from the trailhead to the end of Mangatepopo Valley. Some of the people in that crowd were prepared for a long day on loose rock but others looked woefully under-equipped; open-toed shoes, light spray-jackets, canvas bags and jeans were all on display. Halfway through we took the detour up the steep slope of Mt Ngauruhoe (pronounced nah-ruh-ho-ee) as much to get out of the crowd as to see the summit. 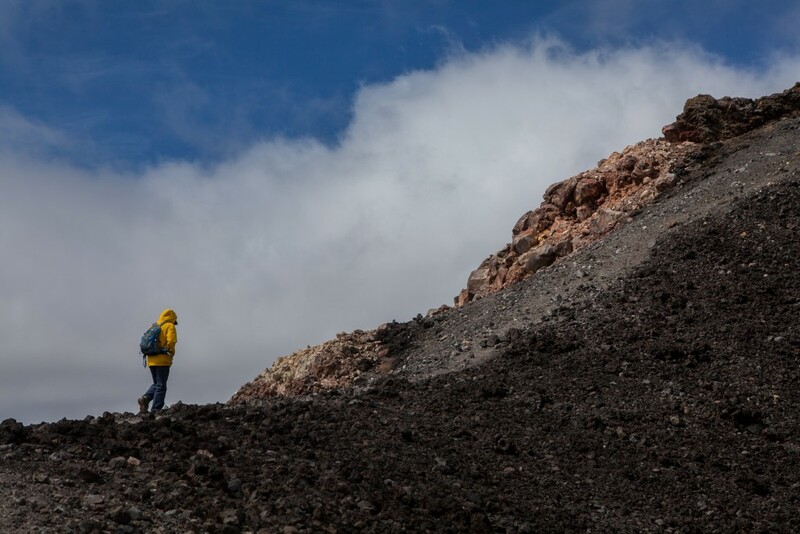 The climb proved to be a gruelling effort – each step sinking ankle or knee deep in volcanic scree. After exhausting ourselves for an or so hour we traversed the slope to an arête formed by an old lava flow. Following that made the last part of the climb a little easier but we were still scrambling almost on hands and knees when we reached the top. The summit offered a spectacular view of Mount Ruapehu just next door and the textbook volcanic cindercone of Mt. Taranaki more than a hundred kilometers to the west. 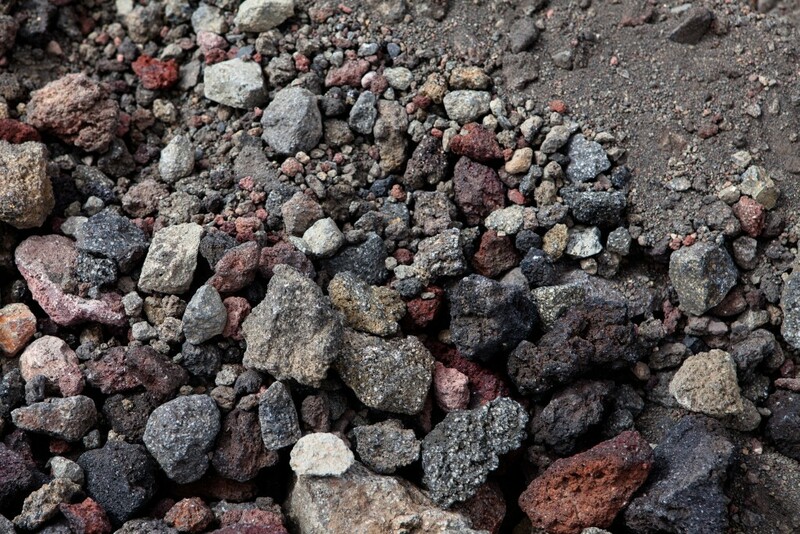 Amongst shattered rocks on the rim of the crater we found little vents blowing off steam like boiling kettles. 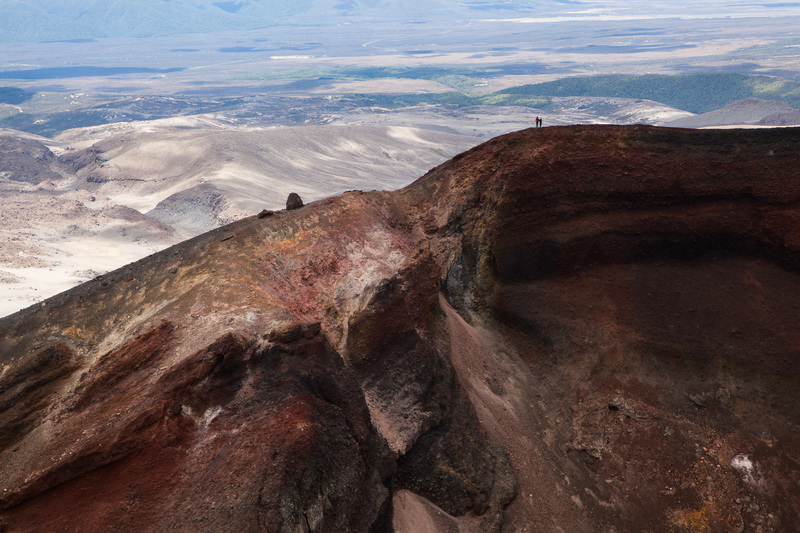 Below us the landscape was a marbled pattern of different minerals and vivid turquoise lakes bisected by a stream of colourful hikers making their way across the basin of the central crater. 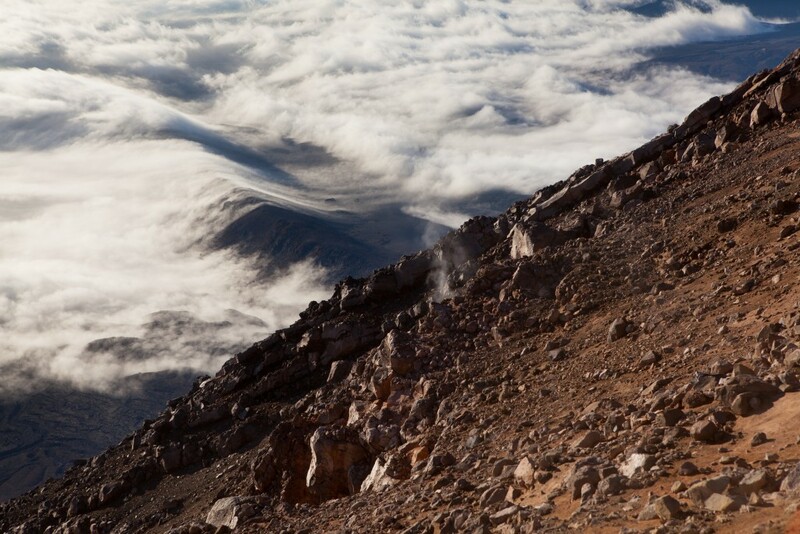 Ngauruhoe is one of New Zealand’s most active volcano. More then forty five eruptions have taken place in the last hundred years. The last major disturbance in the area occurred in 1996 when nearby Ruapehu woke up long enough to shrug off the ski lifts on its northern flanks. Signs warning of cliffs, toxic gas, lahars (flash floods of volcanic mud) and eruptions don’t seem to deter many visitors so each summer LandSAR has its work cut out for them tending to lost, injured or dehydrated hikers. It’s difficult to disentangle labels like ‘dangerous’ and ‘popular’ because, statistically, when a hundred and forty thousand people attempt virtually anything a small percentage of them are going to find themselves in some sort of strife. 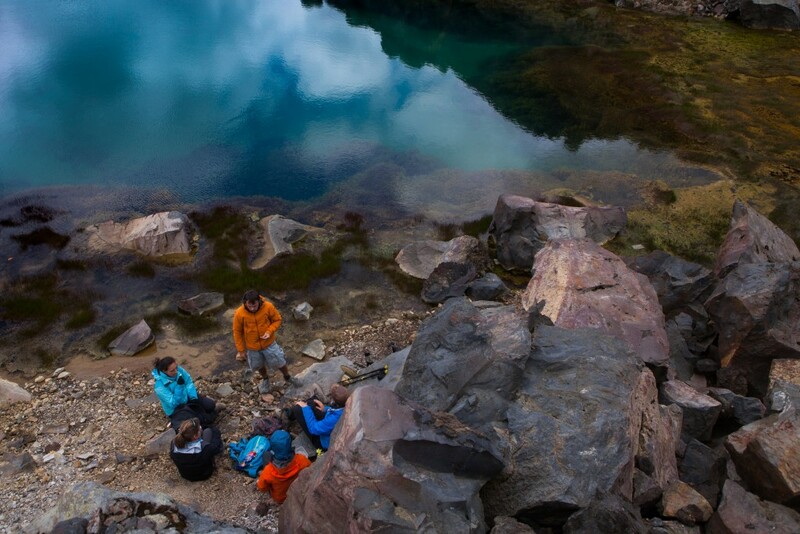 Before giving too much credence to a hike’s lethal reputation it’s important to consider just how many people manage to complete it without incident. The New Zealand Mountain Safety Council (MSC) recently published a report on the dangers of hiking in New Zealand which includes statistical breakdowns of hiking incidents by region, age, gender and a number of other variables. The report also attempts to identify the reasons that people find themselves in need of rescue. 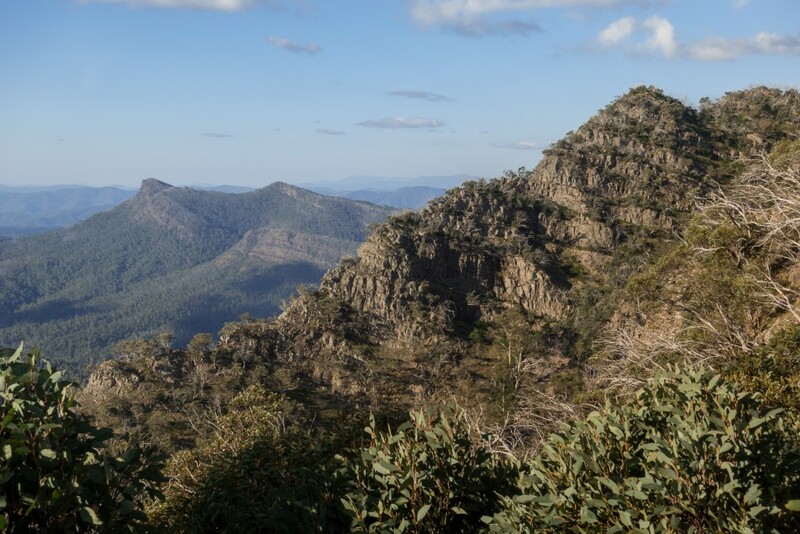 By examining coronial and police reports of hiking fatalities the council has documented both immediate causes (falls, drowning, hypothermia etc) and the more difficult to determine ‘causal factors’ (competence, fitness, complacency, equipment etc). The conclusions they reach sit uncomfortably beside assumptions we tend to have about wilderness misadventure. The MSC data suggests that is the tendency for hikers to experience a sort of tunnel vision with regards to their goal can be just as dangerous as inexperience. 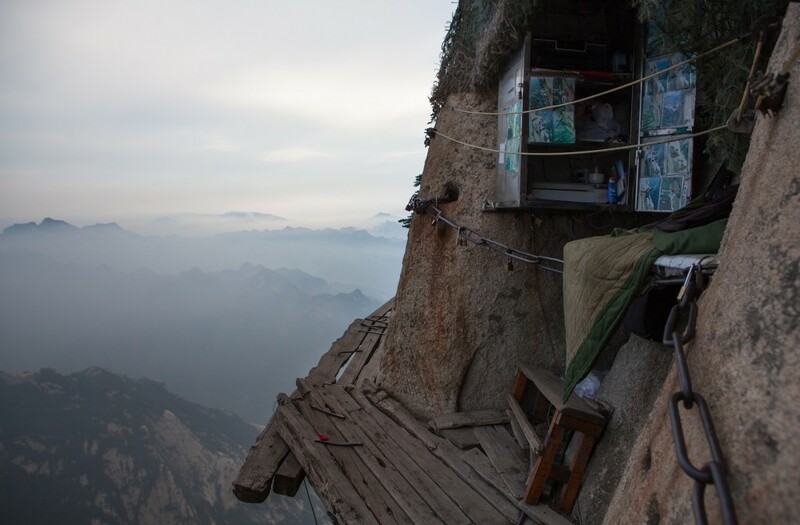 Instead of turning back many hikers push on to the next hut or the next peak or the next camp site despite obvious risks. 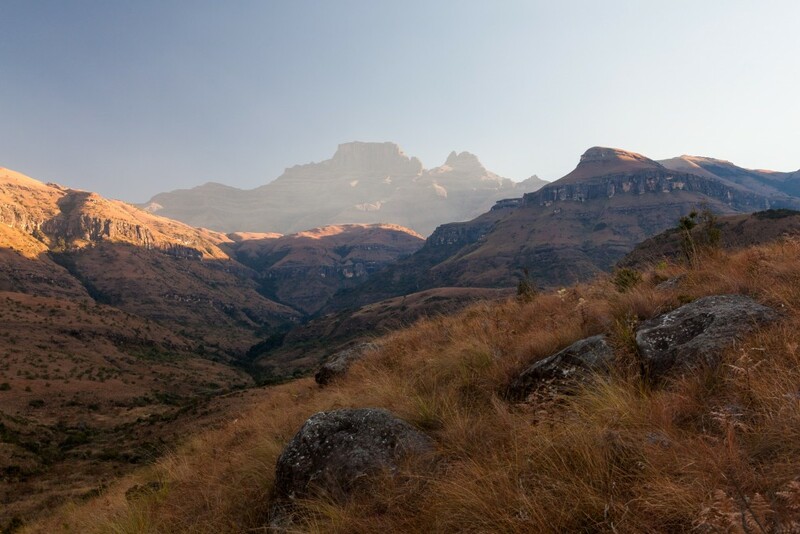 It can be reassuring to assume that the people you hear about being rescued from a trail or found after days lost on the side of a mountain were too old or too unfit or too unprepared to be where they were. It takes a little more soul-searching to attribute their misfortune to personality traits familiar to most hikers and mountaineers – ambition, overconfidence, stubbornness. An unsurprising pull-quote on page 84 reads; ‘for fatalities where ignoring advice was a causation 88% were male’. The MSC report stops short of advising hikers on how best to stay safe but the message revealed by the data is clear- don’t be too ambitious and turn back if you find yourself out of your depth.